Last week I headed down to Church Studios in London to visit Frank Turner recording his as-yet-untitled fourth studio album. 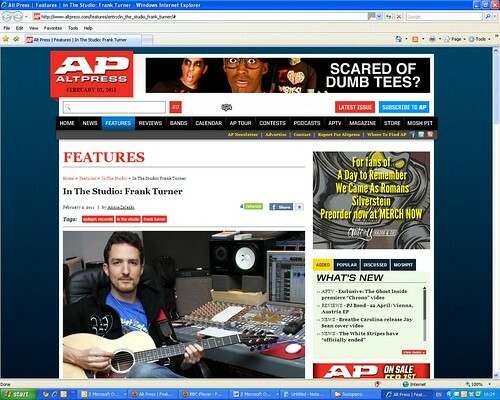 The shot above was published on US magazine Alt Press’ website. You can see it and read the interview with Frank here.